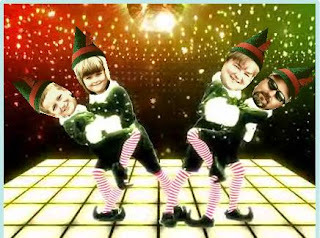 Being Frugal and Making It Work: Elf Yourself! Are you looking for a good laugh? Then you really should go Elf Yourself! Office Max lets you Elf Yourself, your friends and your family. Then, you get to choose which type of dance you'd like to perform! Disco, Hip-Hop, Country and more! It really is fun! I never knew my family had such mad dancing skills until tonight. LOL! New Baby? Sign up to get Free Baby Stuff! Slumber Party Birthday Cake Ideas! What Is Your Elf Name? Watch Santa Feed His Reindeer Online! Gifts from the Heart... The Gift of Forgiveness! Holiday Gift Ideas for Girls! Holiday Gift Ideas for Boys! One of My Favorite Christmas Traditions! Check out the Holiday Gift Guide!